In early March Jody and I went back up to the Nooksack River hoping to see Bald Eagles as we had in January. 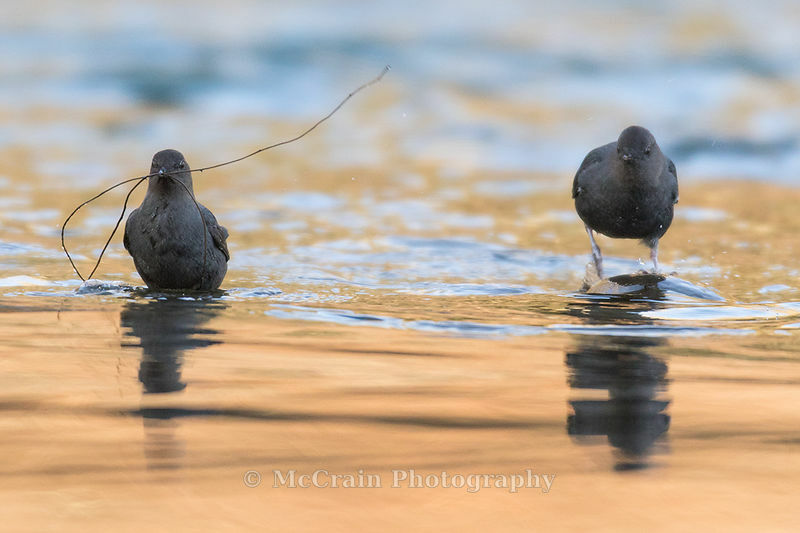 While it was too late in the season for that we did get the treat of watching a pair of American Dippers working the river. They were feeding and gathering nesting materials. The sun was out and the reflection of the trees across the river made wonderful colors in the water. The Dippers spent most of the time they spent in the shadow of the bridge so it made a challenging photographic situation. 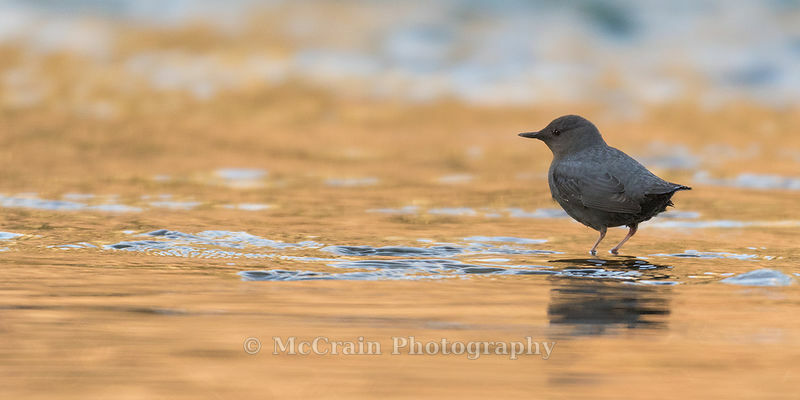 This bird was pausing for a moment on a rock while the river flowed by. We've printed this one on a panorama canvas and a matted print. 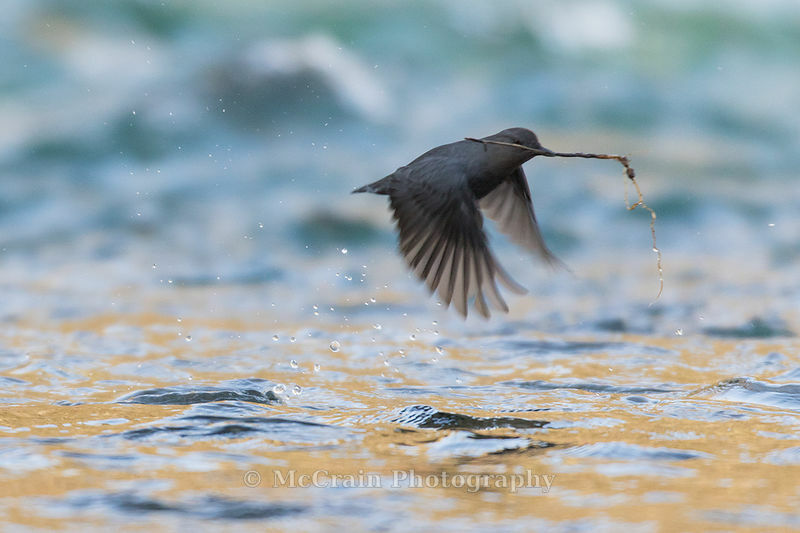 Here is one taking off to the nest with materials fresh out of the water. The pair, one resting and the other with a large twig for the nest. It took quite a bit of effort to get that piece up to the nest. The nest was on the girders of the bridge about twenty feet above the river. 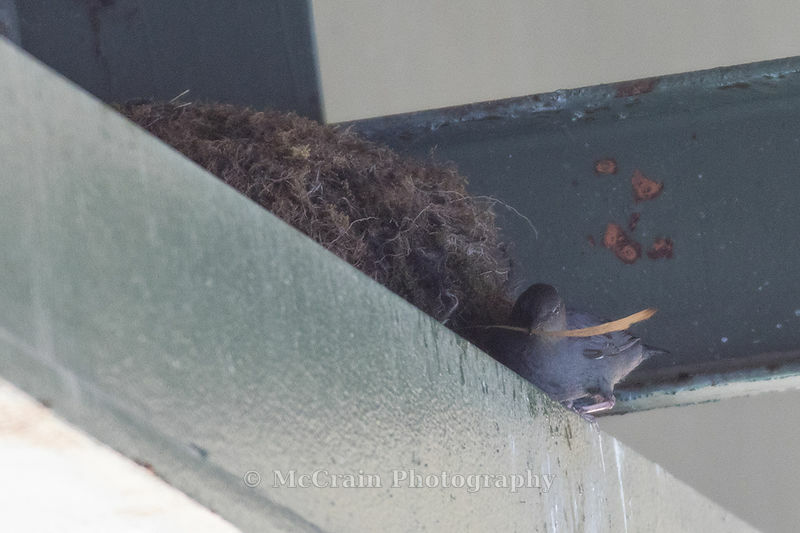 Here is one of the birds working a piece of grass into the nest.